Without doubt, the strongest argument against universal health care is the claim that it will staunch medical innovation, that our high spending acts as a research and development subsidy for the rest of the world. I've tried to address this in a bit of haphazard fashion, but never really knew how to take it on in a sustained way. Luckily, Jon Cohn is better at this sort of thing than I am, and his article examining the tanged pathways of medical innovation and how they intersect with universal coverage is very good. Go read. [T]he technique used on Giuliani, prostate brachytherapy--using radioactive seeds--was pioneered in the modern era by a physician in Denmark, and brought to the US by one of his students. You'd think a guy whose life was saved by bradytherapy would admit, however grudgingly, that European socialized medicine ain't all bad. 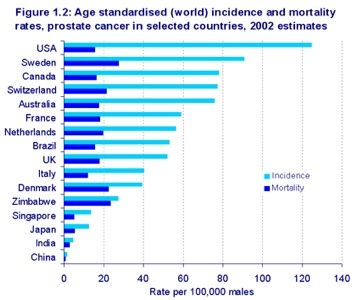 Given that the average age of patients diagnosed with prostate cancer is 70 (src), clearly a large number of patients are being treated by Medicare, America's very own form of socialized medicine. So Giuliani's case for the superiority of our "free market" health care system goes something like this: While on health insurance provided by New York state, he was treated, using a surgery developed by Europeans, for prostate cancer, a disease that most commonly afflicts those covered by the federal government's single-payer health care system. Take that, Europe/national health insurance. Recent incidence rates are heavily influenced by the availability of PSA testing in the population and incidence varies far more than mortality. The highest incidence rates are in the United States and Sweden and the lowest rates are in China and India (Figure 1.2).7 The extremely high rate in the USA (125 per 100,000) is more than twice the reported rate in the UK (52 per 100,000). This is likely to be due to the high rates of PSA testing in the USA. That's not a strike against the US. 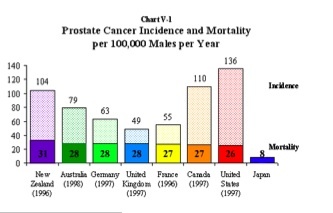 We have quite good prostate cancer treatment, and our mortality is better than most. But we don't have some sort of magical cure that the rest of the developed world missed. Which makes sense. After all, they read the exact same medical journal articles, do business with the exact same medical device companies, and purchase from the exact same pharmaceutical researchers. Problem is, most of those cancers simply aren't deadly, or even necessarily damaging. They're slow-moving and benign. It's like saying we have a lower death rate from car crashes because we record more near-misses in the statistics. We may indeed have a slight advantage of prostate treatment, but it's not what Guliani is suggesting it is. Assignment Desk: Wouldn't it be interesting to find out if the gold-standard care Giuliani got during his prostate cancer came while he was on government-provided health insurance? He was mayor at the time, suggesting his care was coming through the city, which would suggest it was through the state insurance pool, which works very much like FEHBP -- which is what the Democrats are proposing to expand to all Americans, and what Giuliani is calling deadly, socialized medicine. Andrew Sullivan's very excited by the fact that Britain has a burgeoning medical tourism industry. "Tony Blair poured millions into Britain's socialized healthcare system," he writes, "pumping unprecedented resources into a healthcare system that Michael Moore admires and the American left loves. This is the result." Take that, mediocre-to-bad health care system that nobody on the Left suggests we should copy! Of course, Britain spends 41 percent what we do per capita -- and no one thinks Blair made up that shortfall, or anything close to it. So detractors are probably best served by not making funding the issue. I wouldn't have thought, however, that they'd try to move over to medical tourism as a point of comparison. But we can have that discussion. We can talk about the 50,000 Americans who go to Bumrungrad hospital in Thailand every year for cheaper surgeries. We can go into this article, about the Indian hospitals primarily serving Americans, or this one, about the waves of Americans traveling abroad because they're unable to afford heart surgery. Indeed, there are more Americans -- 100,000 -- traveling abroad for cosmetic surgery alone than there are Britons seeking any type of services in foreign lands. America is actually driving the medical tourism industry that some Britons are taking advantage of. The growth of foreign treatment centers aren't a result of the failings of the British health care system (of which there are many). They're a result of the cost of American health care, and the huge numbers of sick individuals we price out. You'd think, paying two-and-a-half times what the Brits do for health care, that we could all access care, and wouldn't need to fly to India. But you'd be wrong. 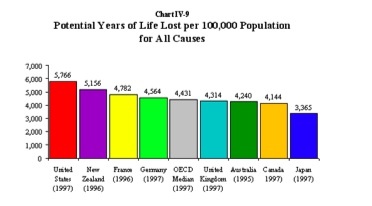 The Brits also have a bad health care system, but theirs is, on the bright side, very, very cheap. Ours isn't. 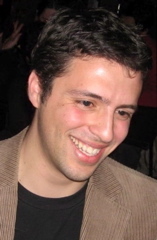 Joe Paduda discovers what's probably a fake e-mail from a Canadian purporting to warn us about the horrors of his health care system. Then he dismantles it. But expect more of these as the health care debate heats up. You won't see folks defending the current system -- the status quo is too dysfunctional to protect. Rather, you'll see them demonizing the unknown, lying about alternatives, trying to scare Americans into curling up and protecting what they have. An American in France tells of his experiences with the French system. As you may imagine, it's ghastly, unsettling, stuff, full of prompt appointments and helpful specialists. Conservatives, it's worth saying, have much the same reaction when faced with the horrors of high-quality, socialized care. The LA Times reports that uninsured adults in Los Angeles are waiting more than a year for gallbladder and hernia surgeries. Indeed, the Harbor-UCLA medical center just told the county's clinics to simply stop referring non-emergency gallstone, hernia, orthopedic, or neurosurgery patients till the hospital worked through its year-long backlog. Hernias occur when part of an internal organ protrudes into muscle, often after a person strains to move a heavy object. A supportive belt or truss can help hold in the organ, but the belt can be painful and interfere with work, especially in jobs that involve manual labor or standing all day. Organ poking out and pressing on a muscle? Here's a girdle! Say it with me, kids: In this country, we ration by income. In his talk, __________ conceded that "the ___ healthcare system is not timely." He cited "recent statistics from the Institution of Healthcare Improvement… that people are waiting an average of about 70 days to try to see a provider. And in many circumstances people initially diagnosed with cancer are waiting over a month." A Commonwealth Fund study of six highly industrialized countries, the U.S., and five nations with national health systems, Britain, Germany, Australia, New Zealand, and Canada, found waiting times were worse in the U.S. than in all the other countries except Canada. And, most of the Canadian data so widely reported by the U.S. media is out of date, and misleading, according to PNHP and CNA/NNOC. In Canada, there are no waits for emergency surgeries, and the median time for non-emergency elective surgery has been dropping as a result of public pressure and increased funding so that it is now equal to or better than the U.S. in most areas, the organizations say. Statistics Canada's latest figures show that median wait times for elective surgery in Canada is now three weeks. "There are significant differences between the U.S. and Canada, too," said Burger. "In Canada, no one is denied care because of cost, because their treatment or test was not 'pre-approved' or because they have a pre-existing condition." [B]oth data and anecdotes show that the American people are already waiting as long or longer than patients living with universal health-care systems. Take Susan M., a 54-year-old human resources executive in New York City. She faithfully makes an appointment for a mammogram every April, knowing the wait will be at least six weeks. She went in for her routine screening at the end of May, then had another because the first wasn't clear. That second X-ray showed an abnormality, and the doctor wanted to perform a needle biopsy, an outpatient procedure. His first available date: mid-August. The article continues on" "If you find a suspicious-looking mole and want to see a dermatologist, you can expect an average wait of 38 days in the U.S., and up to 73 days if you live in Boston, according to researchers at the University of California at San Francisco who studied the matter. Got a knee injury? A 2004 survey by medical recruitment firm Merritt, Hawkins & Associates found the average time needed to see an orthopedic surgeon ranges from 8 days in Atlanta to 43 days in Los Angeles. Nationwide, the average is 17 days." One important note on our system's wait times is that, unlike in other countries, we don't collect the data. "There is no systemized collection of data on wait times in the U.S," says Business Week. "That makes it difficult to draw comparisons with countries that have national health systems, where wait times are not only tracked but made public." That's a side benefit of the universal systems, which due to their coherence and incentives, are actually quite transparent. That allows not only for an accurate assessment of the problems, but the effective deployment of resources to treat them. And by the way, want to know which country has the lowest wait times in international comparisons? Hint: It's where sauerkraut comes from. There are some arguments over comparisons of Canadian and US waiting times flitting through the blogosphere, which reminds me of a point I've been meaning to make for awhile: You can't compare the upper end of US waiting times to the upper-end of any other country, because those with reduced access to the health system forego care, which doesn't happen in significant numbers elsewhere. So while the Right disingenuously trumpets the few Americans reporting severely long waits, they don't mention that the group who would populate that category are locked out of care entirely. Here's how the dodge works: If you look at waiting times, you'll see that relatively few Americans wait more than four months for surgery, which helps folks claim that America doesn't ration care, and makes our system look pretty good on the waiting times metric. Here's what they don't tell you: When you look at who foregoes care, the international comparisons reverse themselves. About 23% of Americans report that they didn't receive care, or get a test due to cost. In Canada, that number is 5.5%. Worse, the American number is understated, as in order to know you need a surgery or further care, you need to go for an evaluatory visit, and as it happens, many Americans -- including 36 percent below average income -- aren't even seeking that. And it's this group -- which is largely low-income, and I'd guess, largely urban -- who would, in another country, be experiencing terrific wait times. Here, they never get care at all. The studies misleadingly write them out of the waiting statistics, making it look like America has low wait times when the relevant population is simply never getting care at all.